Weaving is definitely having a moment right now. You mostly likely have seen it as a wall hang, on Pinterest, or maybe you have already have some woven decor of your own. Weaving is so much fun because it can come in so many different forms, for example you can hang a nice tassels chandelier, lay a woven rug or (my personal favorite) add a fringe on to a throw pillow. 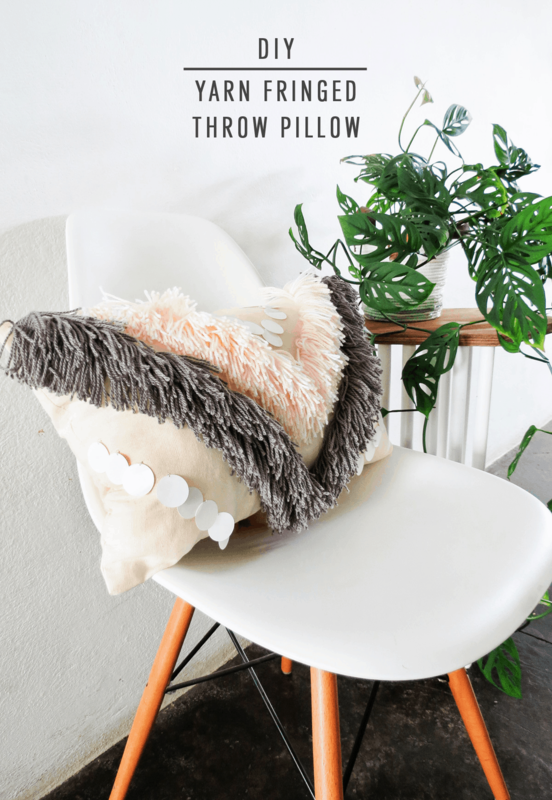 I, Amaryllis, am a throw pillow fanatic! So it was only a matter of time that I combined two together! 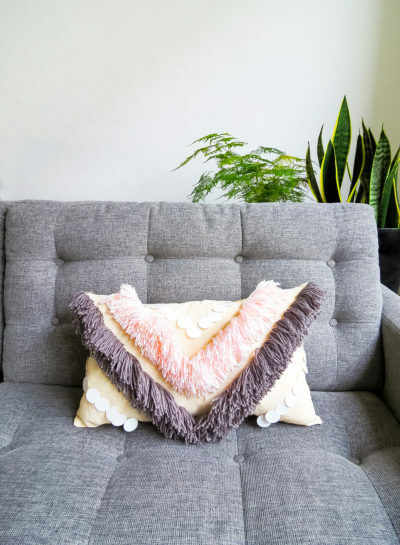 I’m so excited to share with you this DIY yarn fringed throw pillow. It’s so easy and customizable. You can use any color yarn you like to match your room decor and easily create different designs. 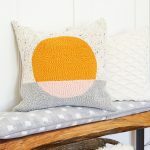 You can even make yourself a whole set of throw pillows with different designs! Cut two rectangles of 12×20 inches to make the cushion. 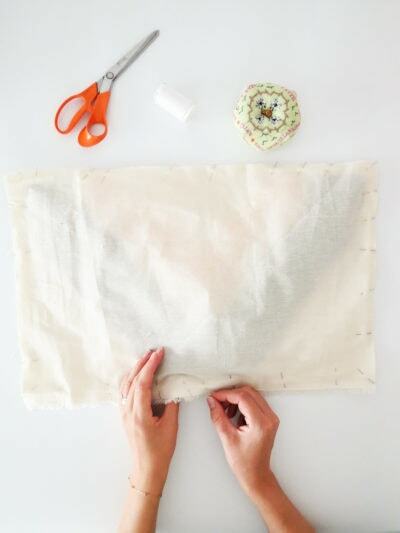 Take the fabric piece that you will use for the front of the cushion and trace a line where you want to sew the yarn fringe. I made a V shape centered in the fabric rectangle. 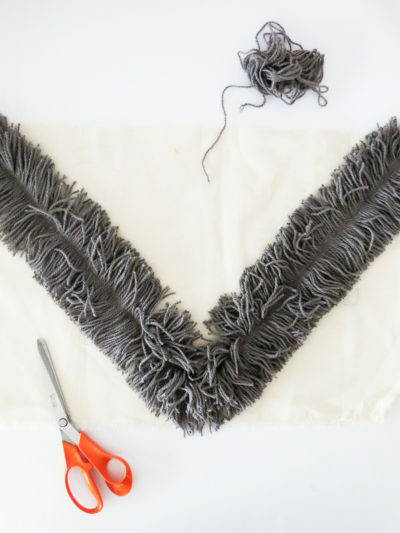 To easily make fringes with the yarn, you need to create a template. 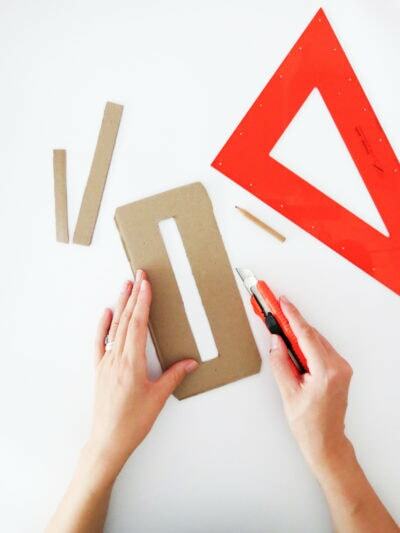 Cut a rectangle of 9×4 inches in the cardboard, and in the center make a slit of 7×1 inches. 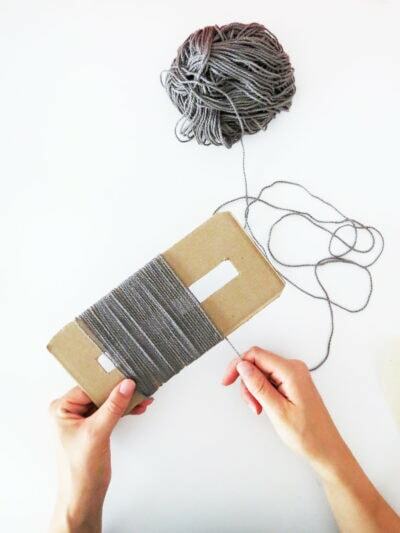 Start wrapping the yarn around the cardboard template. Once the yarn covers most of the template, place it on your fabric. Center the presser foot in the slit and sew following the line you previously traced on the fabric. 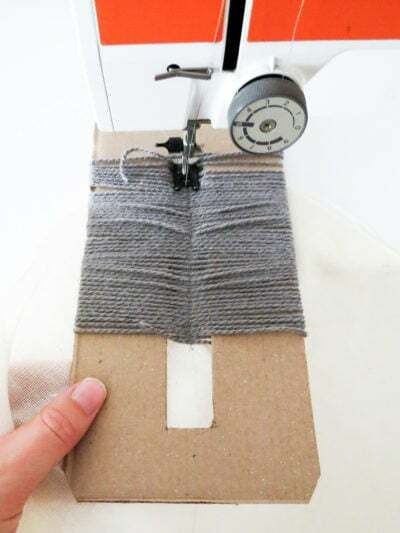 Use small zigzag point so that the yarn is well stitched with the fabric. 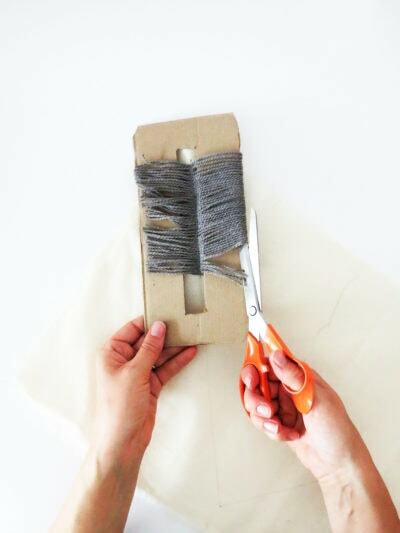 Cut the yarn following the sides of the cardboard, and remove the template! Now you have your first row of fringe. 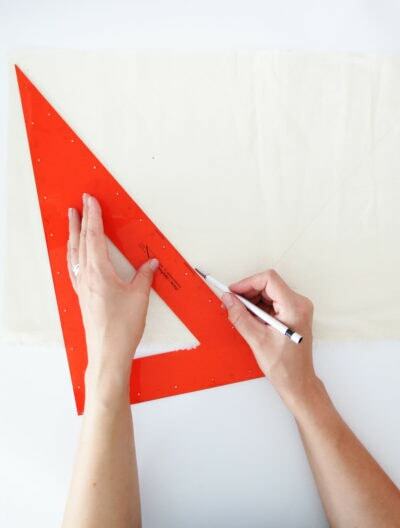 Repeat the process as many time as needed to complete your design. 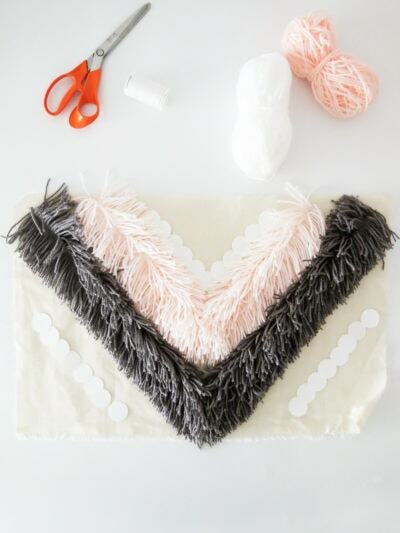 Feel free to go wild by making several fringe lines with different yarn colors or adding more texture by sewing a few beads or some sequins! Just have fun with it! 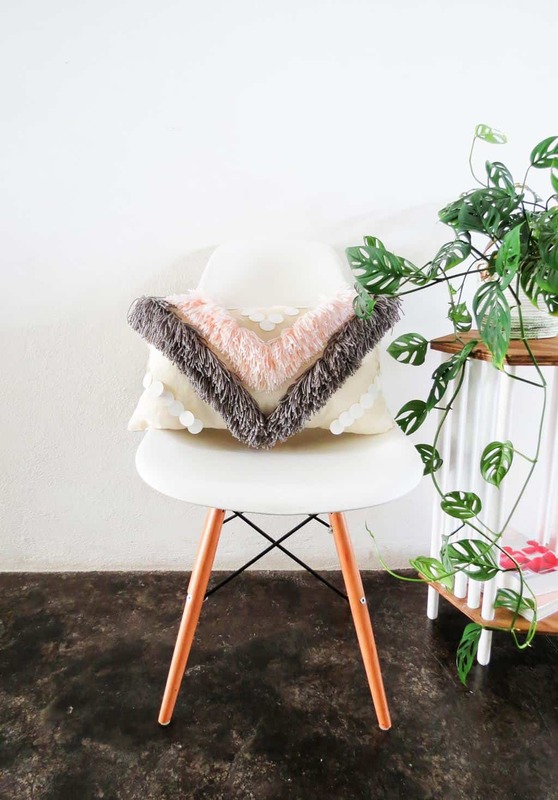 Once you are happy with the design, you need to finish sewing the cushion. Place the second fabric rectangle on top of the decorated one, both right sides turned inward. 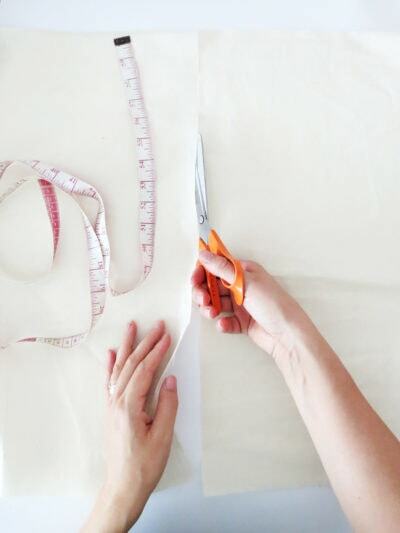 Pin the edges together and sew along, leaving an unsewn gap of 5 in. 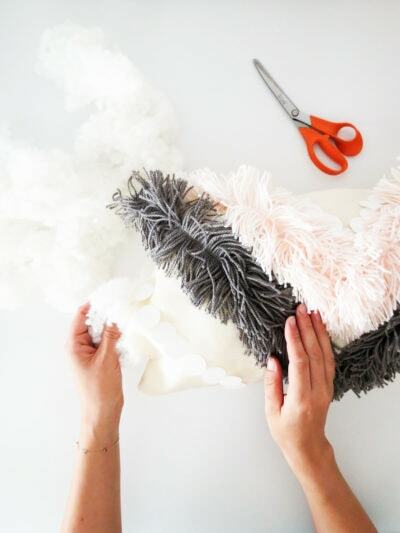 Turn the cushion through the 5 inches opening to have the right side out and fill it with the foam. When you are done filling, pin both side of the opening together and close it with a few hand stitches. All finished! 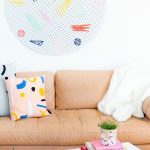 Now your DIY yarn fringed throw pillow is all ready for your couch, sitting area, or wherever you decide to style it! How fun is this? I love that there’s no strict pattern about it, but can be any style you want it to be. Not only is it a great way to dress up your space, but it also would make for a great gift! What do y’all think? Mind Blown! I love how these look! 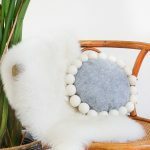 I’m Lisa (long time reader- first time commenter) over at LipStainAndLegos.com, another DIY blog. 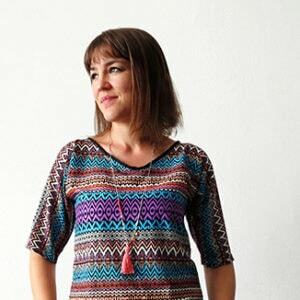 I’ve always wondered how to to make yarn into that sew-able, fringe stuff. These look so cute and versatile and I love the texture they add to a space. How do you clean it? Spot Clean? We are reaching out to you because I saw your website and thought you might be interested in reviewing our beautiful mirror frames. We are a small family owned business that makes designer quality mirror frames that install on the existing bathroom mirrors. We cut to size and ship to our customers ready to assemble and install which only takes a few minutes. If you would be interested in reviewing us we will provide you with any of our frame kits to try out. 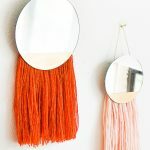 You can see our products on our website at; http://www.mirrorchic.com. Be sure to use the before & after slider to view our frames. If interested please contact me and we will arrange to send you your frame kit. 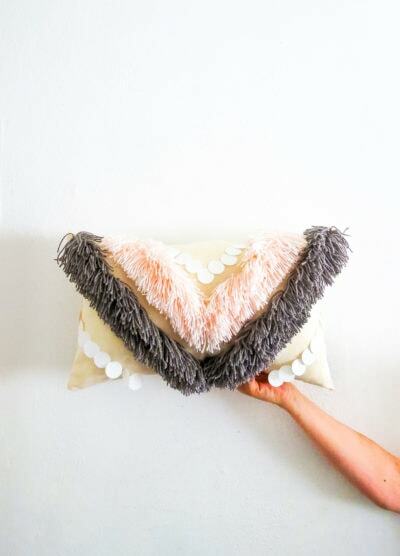 This is probably the most easy and fun fringe cushion I have seen in a long time. Looks like I will be making this soon. Thank you so much for easy to follow directions. I hope to try making one soon. I did want to ask if there was a particular kind of yarn (cotton, wool, etc) that you use or recommend as I find the choices overwhelming. Thanks again!